FREE Answer the questions with true answers! 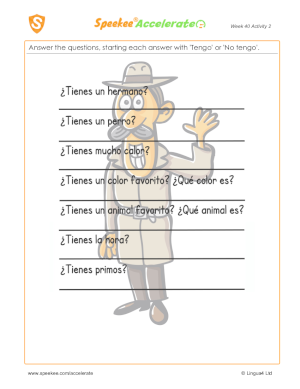 FREE Answer the questions, starting each answer with 'Tengo' or 'No tengo'. FREE Complete and practice the dialogue. FREE Make six 'verb flowers'. Use these verbs: Pintar, Bailar, Jugar, Cantar, Estar, Tener. Check in the dictionary where necessary. 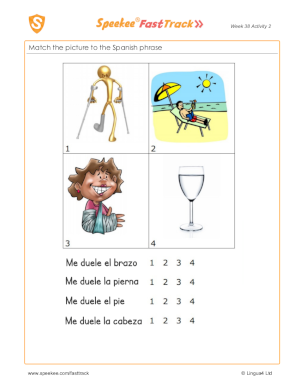 FREE Look at the pictures and use the phrases shown to fill in the gaps. 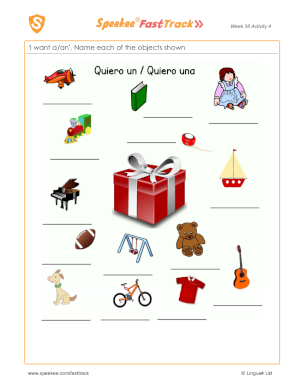 FREE Fill in the gaps, using the pictures and the words at the bottom of the sheet. FREE Fill in the gaps using the words at the bottom of the paper to help. Then copy the full sentences. FREE Fill in the gaps. Follow the pattern to fully complete the last four clock times. 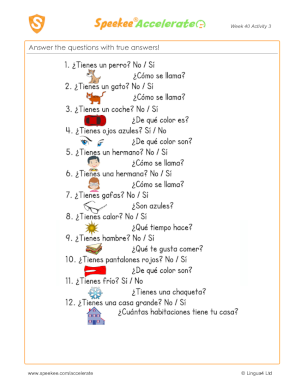 FREE Answer the main questions and their follow-up questions. An example is given. FREE Cut out the pictures and the name boxes. Match the disguised characters with the names, and copy the names. 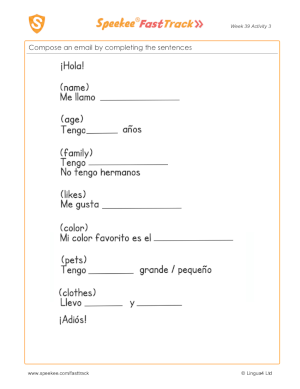 FREE Copy and fill in the gaps, and write your own name. FREE Practice 'Tengo' (I have) for each animal, following the example. 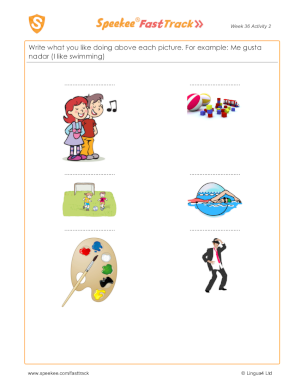 FREE Write down what the images show, starting with: "Me gusta bailar"
FREE Write in the names of the seasons and add 3 verbs which are appropriate for each. Use a dictionary. Example: Esquiar (Ski) for Winter. 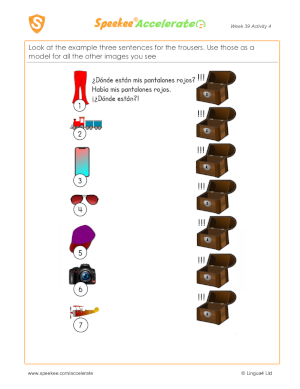 FREE Use the examples as a guide as you say whether you are big or small! FREE In which room is each named object? FREE Write the correct command for each picture. The commands are: Sube (Go up), Baja (Go down), Bebe (Drink) and Come (Eat).